We had a wonderful family holiday of 7 people from March 9th to 15th, 2018 in Villa Kalipay. The villa is beautiful and the decor could be in any luxury magazine. The volumes of the villa are impressive, each room is a mix of designer furniture and old sculpture. There is a very nice movie theater that we did not use as well as a small gym. The temperature of the pool is 30 degrees and the ocean view is beautiful. Currently there are some works that ruin the panorama with the construction of a small marina near the villa, but within a year everything will be finished. Anyway we had a wonderful stay with an exceptional staff attached to the villa. Pom who is responsible for the villa is at your disposal constantly, he responds with a smile to the slightest request and even exceeds our least desires. He is really a very endearing man who goes out of his way to satisfy the guests. The two women in charge of the household and the service are adorable with a permanent smile and the chef is amazing to prepare a wonderful varied and tasty food. We had no interest in going to the restaurant, the chef of the villa being perfect. We have been traveling twice a year all over the world for over thirty years and our villa Kalipay stay will remain one of our best memories. We will certainly come back with great pleasure. Everything was outstanding. Villa - excellently maintained, lush furniture and fittings, and the movie theater room was a special treat. Service - from the moment we stepped in, to 4.5 days later when we left, Khun Wee and his team did an amazing job. Facilities - Salt water pool was clean and big enough for us, Theater room was outstanding, rest of villa was big, spacious and clean. Staying at Villa Kalipay made for a thoroughly enjoyable family holiday. Khun Wee and his team took care of all our needs during our stay and we could not be happier with the service. We barely left the villa and didn't have much reason to given the stunning views from the pool and the cushy movie room. Highly recommended! My young adult children and I were at the Villa Kalipay for one incredible week. The staff were friendly, helpful, accommodating and anticipated our every need. The food was excellent and we dined in such beautiful surroundings!! We all agreed that this was without a doubt our most memorable stay during our three week vacation. 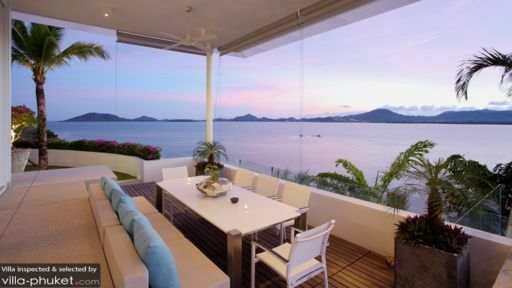 We would highly recommend this villa and the staff! Thank you for having us and making our week so memorable. We were completely spoiled. The pool was also a real highlight - beautiful. From the minute we got there to the minute we left we were given top class service. The villa is absolutely stunning to say the least. 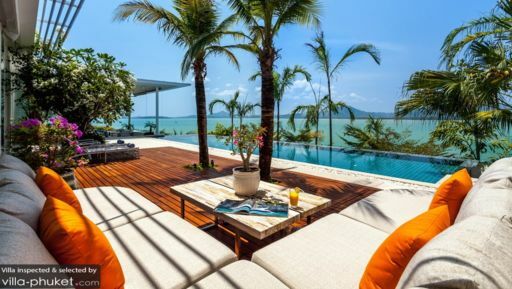 From the amazing views to gorgeous contemporary decor to the very comfortable bedrooms to the home cinema to the outdoor setting and gorgeous poolside area. Simply amazing. Above all else, the staff's attentive precision, friendliness, great smiles and desire to please all guests was a service that we have only experienced in Thailand. Our own personal chef was a magician in the kitchen and the dishes prepared were nothing short of delicious. The only thing that I would touch on is that prior to arrival at the villa, guests should just make clear the terms and conditions of their stay so as to make sure there are no surprises (in terms of extra costs) when they arrive there. This is definitely a place I will recommend to our friends and family and would love to be back one day! it has been the best 3,5 days in my/our life so far. the villa as such is beyond beautiful we really loved the sight/view and the overall structure and design, it is even more beautiful when you are there compared to pictures and videos. It is just jawdropping and it was so peaceful, relaxing and energizing !! We spend most time in the villa and I slept like in heaven, the view from the outmost ritght bedroom on the second floor (my bedroom) was outstanding ! In general the view is outstanding. 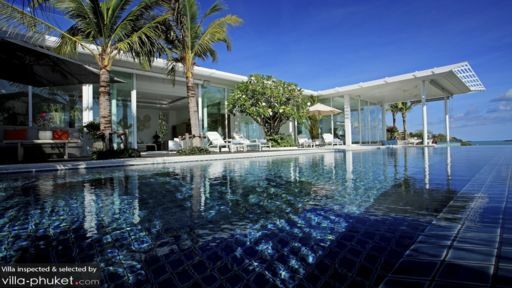 The area and the villa ressort itself is outside of the partie areas of phuket, quiet and peaceful, we love this.